The time of the summer event is upon us! It seems both Marvel and DC are looking to streamline their offerings in the hopes of bringing in new readers. It is no secret that the New 52 was a huge financial success for DC and it looks like it is time for another reboot. I am not the biggest fans of events so it seems like a good time to read books from some smaller publishers. Feathers #5 - This all ages series is racing towards its epic conclusion and this issue could not be more intense! I love that it features a strong female character in Bianca, a character struggling with his own identity in Poe, and a mystery that ties everything together. 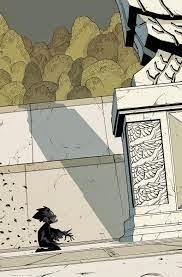 It seems we are to learn the secret to Poe's feathers in the finale and it is going to be tough to wait for issue #6. As a father of a strong daughter, I was moved by the scene between Bianca and her father when she felt nobody was listening to her. In previous installments I urged you to read this with your kids and praised it for being a great all ages comic, but it is simply a great comic. Really impressed with how this comic has developed. 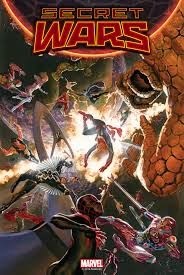 Secret Wars #1 - The new Marvel event is here and it looks as if both the Marvel Universe and the Ultimate Universe are dead. I'm not sure if the other comic book publishers got the memo, but 2015 is the year to fix continuity errors by eliminating any additional worlds. DC started it with Convergence and it looks like Marvel is planning something similar. 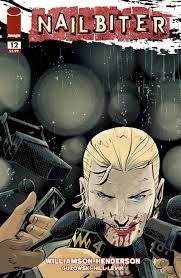 I can understand Marvel wanting to relaunch with the recent success of the films and what not and will most likely follow this one closer than Convergence. The summer events are here and it is likely a good time to turn to smaller publishers. 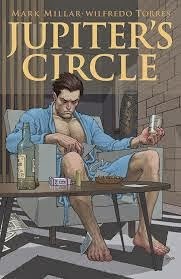 Jupiter's Circle #2 - Mark Millar is a creator that isn't afraid to push the envelope. In Jupiter's Circle, Millar's protagonist is a closeted superhero who is torn between outing himself as homosexual or caving to the demands of a blackmailer. In addition to the stress of living multiple lives including a secret identity and a superhero, Blue-Bolt is carrying an additional burden. A very heavy and dramatic comic, it will unlikely appeal to the masses, but it is one that warrants our attention and I am happy that Millar has created this book. Nailbiter #12 - We are so close to uncovering the mystery behind Buckaroo, Oregon. Not quite this time, but the secret society that has been lurking behind the scenes for years is quite intriguing and only complicates things. Joshua Williamson has created a rich world filled with all sorts of twists and turns. When this series began, it was fun and campy, but clearly Williamson had big things planned for the town of Buckaroo and any fan of horror should be reading this series.